Prior to the graduation exams, it's decided that the students will take part in a three-person interview to discuss their future plans. Boruto, who has passed his ninjutsu courses with flying colors, realizes his path toward becoming a "ninja" has been trouble-free and easy. 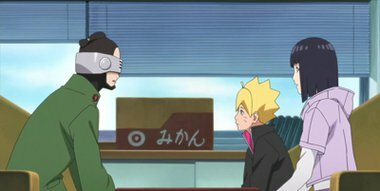 As the students prepare for their finals, Boruto meets a journalist named Sukea who is doing a story on them. Something about Boruto's indifferent attitude about his future as a ninja raises a red flag in Sukea, and he gives Boruto a warning.